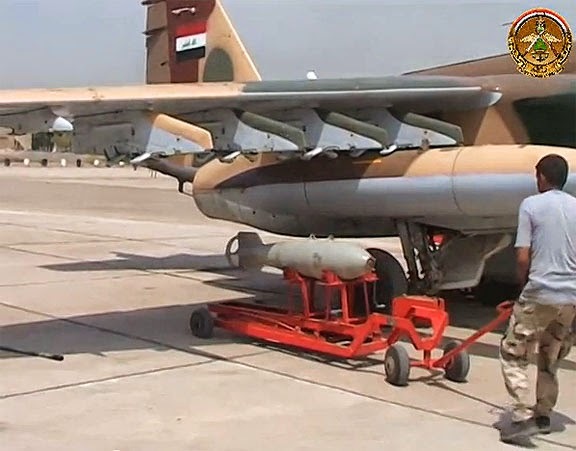 IqAF (former IRGC-AF) Su-25 close air support aircraft fitted with PTB-800 external fuel tanks and OFAB-250-270 high explosive fragmentation bombs, using BD3-25 universal pylons. 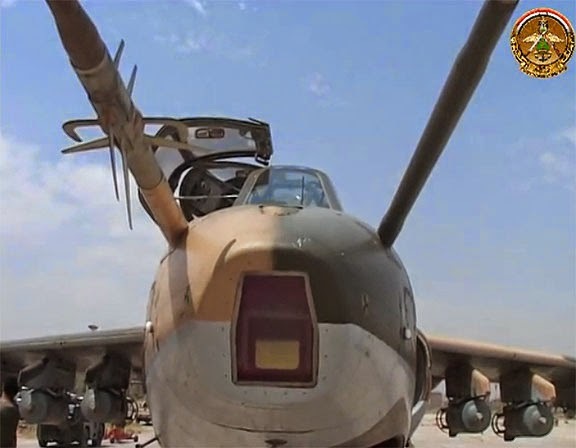 Background: IqAF (former IRGC-AF) Su-25UBK close air support aircraft; former serial 15-2458 seen retaining last two digits "58." 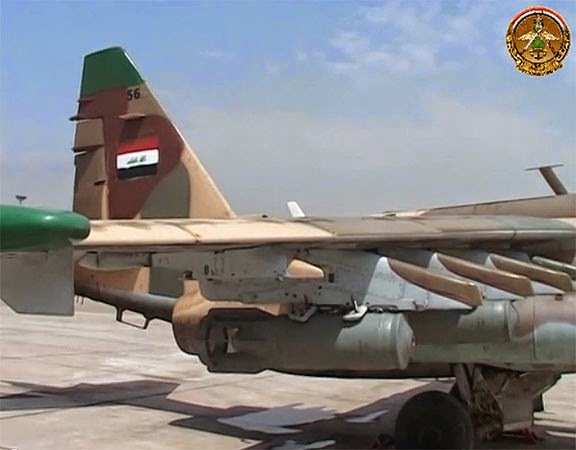 Aircraft fitted with four OFAB-250-270 high explosive fragmentation bombs using BD3-25 universal pylons. 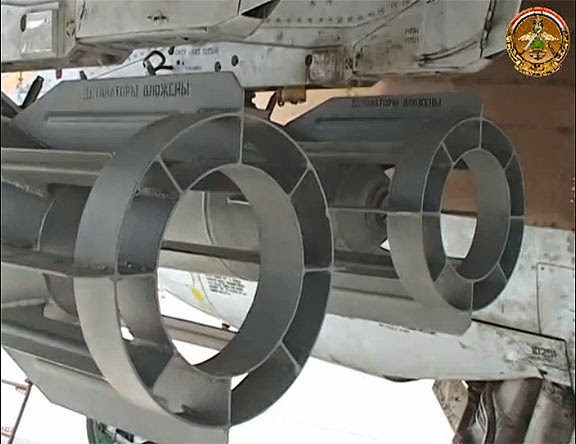 Detail of OFAB-250-270 high explosive fragmentation bombs attached to Su-25 using BD3-25 universal pylons. 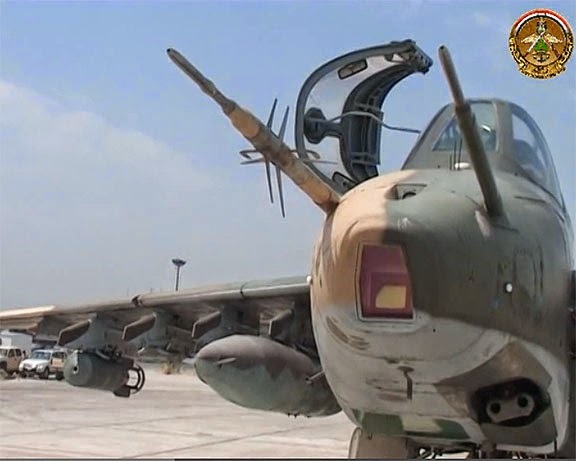 IqAF (former IRGC-AF) Su-25 close air support aircraft fitted with four OFAB-250-270 high explosive fragmentation bombs, using BD3-25 universal pylons. 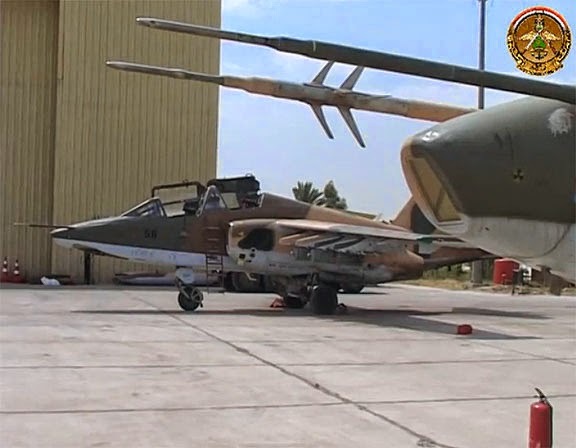 IqAF (former IRGC-AF) Su-25K close air support aircraft; former serial 15-2456 seen retaining last two digits "56." Aircraft fitted with four OFAB-250-270 high explosive fragmentation bombs using BD3-25 universal pylons. Note crudely stenciled Iraqi national flag emblem. 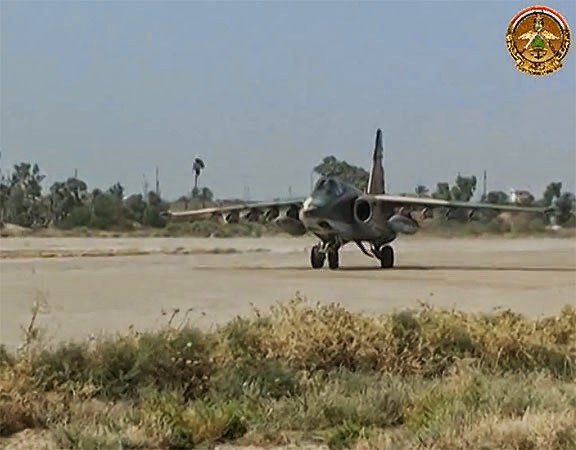 IqAF (former IRGC-AF) Su-25K close air support aircraft taxiing on runway, fitted with two PTB-800 external fuel tanks using BD3-25 universal pylons. 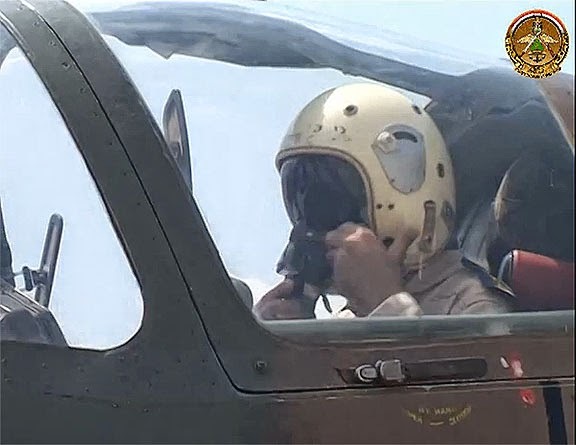 *Note: 06JUL14, IqAF Su-25 aircraft targeted a bridge connecting Zab, south of Kirkuk, to an area north of Salah ad-Din. 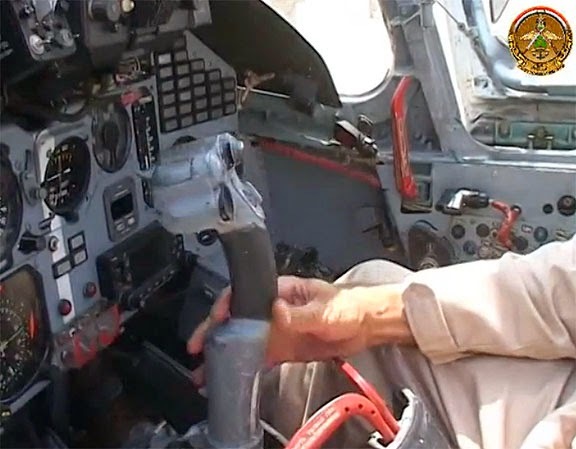 Precision airstrike suggests indicative of Russian or Iranian aircrew.